The ‘Epcot After Hours Wind Down’ event has been extended through the fall period. Originally the event was announced to end its run on September 15th. Disney has now extended the ticketed event to run until November 9, 2014. This takes the ‘Epcot After Hours Wind Down’ to the end of the Epcot International Food and Wine Festival. 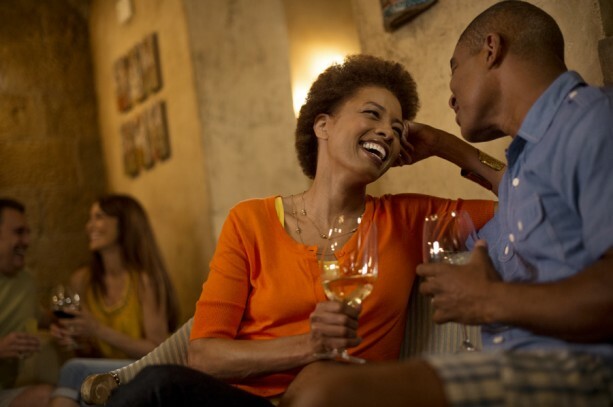 Costing $35, the ‘Epcot After Hours Wind Down’ gives you the chance to enjoy a flight of beverages and light snacks in one of four Epcot lounges. Participating locations include La Cava del Tequila – Mexico Pavilion, Rose & Crown Pub & Dining Room – United Kingdom Pavilion, Spice Road Table – Morocco Pavilion, and theTutto Gusto Wine Cellar. 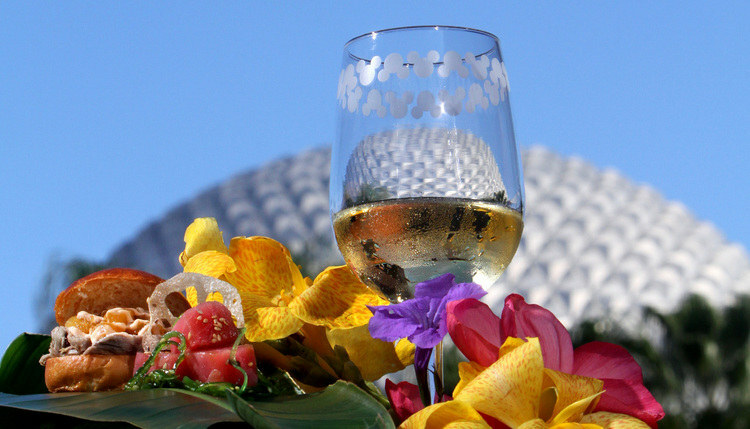 Reservations are now open for the 2014 Epcot Food and Wine Festival premium events. To make reservations, call 407-WDW-FEST (407-939-3378), and for full details of the events, visit the official website. Here is a quick listing of some of the most popular events. 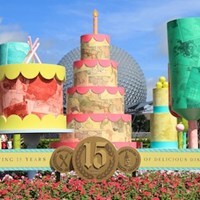 Guests can book seminars and demos, Party for the Senses and Disney’s 3-D Dessert Discovery atepcotfoodfestival.com. ‘Epcot Food and Wine Late Nights LIVE!’ will be the latest after hours premium event coming to Walt Disney World in this year. This after hours street party will take place each Tuesday and Thursday and it will cost $79 plus tax, which includes admission into the park from 9:45pm to 1am. For your $79, you can expect to sample six dishes from several of the Food and Wine Marketplace Kiosks, and take in entertainment with a live DJ and musical performances. The street party will be held between the United Kingdom and World Showcase Plaza, starting on September 23, 2014. D23 is Celebrating 23 Issues of Disney Twenty-Three With an Around-The-World Adventure! To celebrate 23 issues of its collectible publication, Disney twenty-three, D23: The Official Disney Fan Club circles the planet to experience Disney’s worlds from Europe, South America, and Asia to the fantastical fictional realms of San Fransokyo and Once Upon a Time‘s Enchanted Forest. The cover of the issue features a spectacular photo mosaic with a classic image of Walt and Roy O. Disney with Margie Gay of the Alice Comedies shorts series, courtesy of images of D23 Members from around the globe. Disney twenty-three‘s Fall issue, available exclusively to Gold Members of D23, starts the journey with a visit to France for an in-depth look at how the creative team at Walt Disney Imagineering brought the spectacular world of Ratatouille to life at Disneyland Paris for Ratatouille: The Adventure. Then it’s off to Japan where Treasures of the Walt Disney Archives is touring the country with a dazzling exhibit featuring more than 70 props, costumes, images, and artifacts. In “It’s A Disney World After All,” D23 goes on a non-stop tour from Latin America to the Middle East to look at Disney’s indelible mark on the rich cultures of many nations. And, in true Disney fashion, we visit the stunning and sleek fictional city of San Fransokyo for a look at spectacular concept art that inspired the upcoming Walt Disney Feature Animation release Big Hero 6. A rich look into Marvel’s remarkable 75-year history, including a season two preview of the ABC hit Marvel’s Agents of S.H.I.E.L.D. All D23 Members are invited to visit www.D23.com for additional members-only content, including an in-depth video interview with Stan Lee who sits down to talk about Marvel’s 75-year legacy. Disney twenty-three, which is delivered directly to fans’ doorsteps, is offered exclusively to D23 Gold Members as a benefit of their membership. The publication will begin arriving mid-August. Author RayPosted on July 29, 2014 Categories D23Tags D23, Disney twenty-three, Disney twenty-three MagazineLeave a comment on D23 is Celebrating 23 Issues of Disney Twenty-Three With an Around-The-World Adventure! As it turns out, Madame Leota and the 999 happy haunts from the Haunted Mansion attraction have also received your sympathetic vibrations. This fall, they are gathering to open a new merchandise destination in Liberty Square at Magic Kingdom Park in Florida. The new merchandise shop will be located in the current Yankee Trader shop, which had its last day of operation on July 27th. 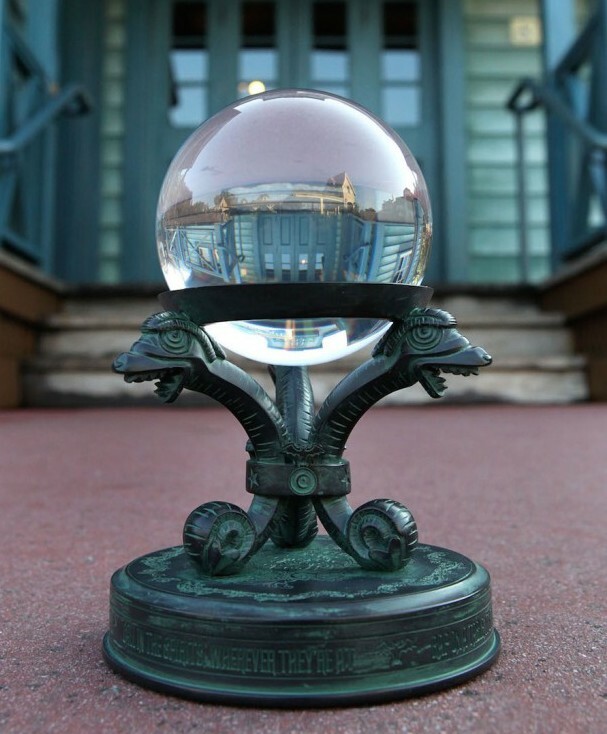 Inspired by Madame Leota, the new location will carry select items from the upcoming Haunted Mansion Authentic program including apparel, home goods, souvenirs, and more. Opened in June 2012, the distinctive and eclectic contemporary art location showcases unique art collections by some incredibly talented artists. I have great news for fans who love this location like I do. 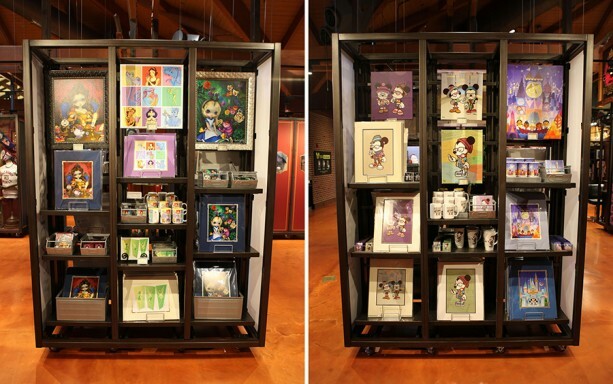 A small assortment of WonderGround Gallery items was recently added to the Marketplace Co-Op in Downtown Disney Marketplace. Located just inside the main entrance of the shop, this new addition contains a handful of prints, mugs, magnets, postcards and more from various artists originally featured in the California location. 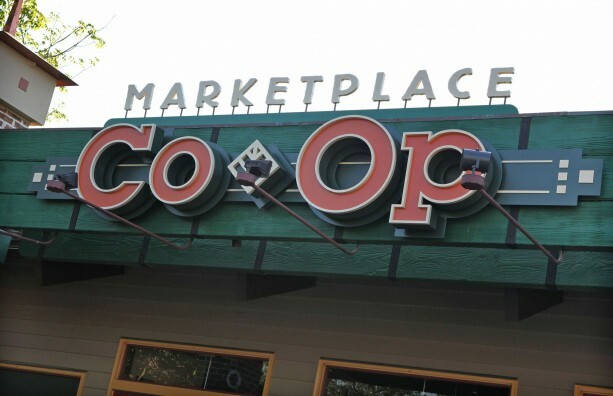 You may recall that the Marketplace Co-Op was designed to be a testing space for new retail products, store concepts and guest experiences. This small addition is a great example of the flexible space inside the location. During my recent visit, I saw a new “Welcome” sign inside the shop (just look at those letters!). 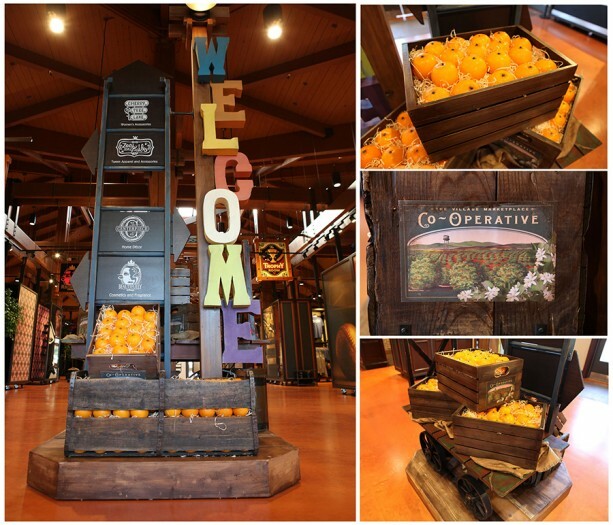 I love the “The Village Marketplace Co-Operative” label found on the side of the orange crates. Benches were also added to the center area between the boutiques. If you are unable to visit the Marketplace Co-Op in Florida or the WonderGround Gallery in California, you can find select items from the location on our Disney Parks online store. Disney has released the full menu line-up for the 2014 Epcot International Food and Wine Festival Marketplace kiosks. This year the festival runs September 19 – November 10, 2014. Taking place on August 23 2014 at Disney’s Hollywood Studios, tickets remain on sale at https://disneyworld.disney.go.com/events/villains-unleashed/purchase/. Pricing is $67 for adults, and $62 for children plus tax. 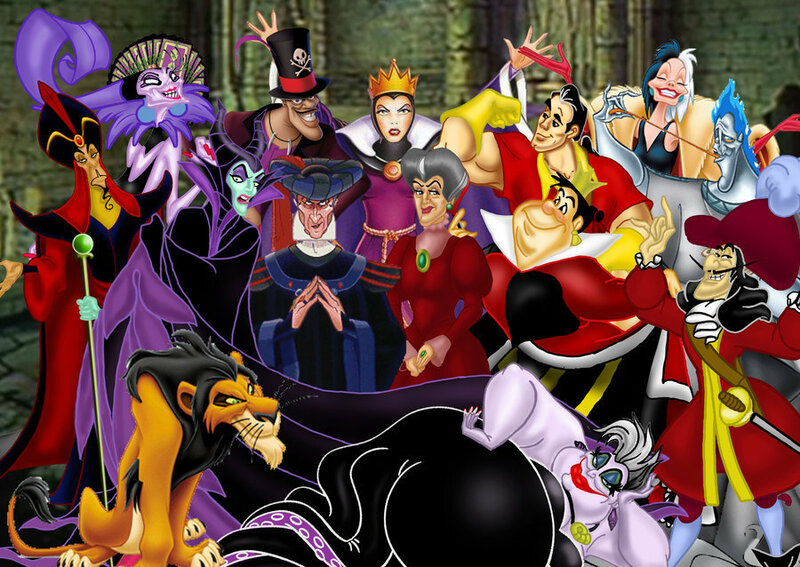 Hades Hangout – The party kicks off at 8 p.m. at the main event stage, where hosts Hades, Megara, Pain and Panic are killing ‘em with comedy. They’re joined throughout the night by the Underworld Dancers, DJ Igg Nite, live music from Bernie Briquette and Brimstone, and a rogues gallery of roaming rottens, from the Queen of Hearts and Sheriff of Nottingham to the Big Bad Wolf and Captain Hook. The Dark Side – During “Villains Unleashed,” the area around Star Tours – The Adventures Continuebecomes a wretched hive of scum and villainy, the place to find nefarious bounty hunter Boba Fett, Sith apprentice Darth Maul, and the ultimate villain – Darth Vader! Andthat’s not all! Wandering the area, you’ll stumble upon more malcontents from that galaxy far, far away: Zam Wessel, Aurra Sing, Asajj Ventress, Jango Fett, Greedo, Jawas, and others. Disney Interactive has announced a retail release date for the upcoming Disney Infinity: Marvel Super Heroes, which will launch in North America on September 23. 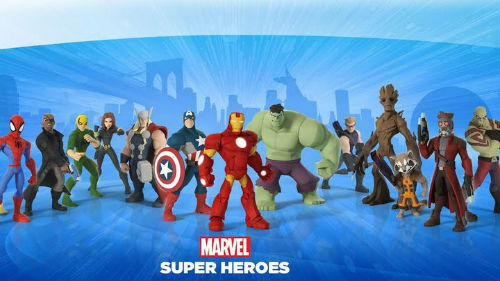 Pre-orders kick off today, and players who pre-order the Disney Infinity: Marvel Super Heroes Starter Pack from selected retailers will also receive a Disney Infinity 2.0 Marvel figure. All characters and power discs from 2013’s Disney Infinity will be compatible with the game. Fans who own the original Disney Infinity game are also able to purchase Disney Infinity: Marvel Super Heroes digitally. Yesterday, Disney Interactive confirmed a Guardians of the Galaxy playset for Marvel Super Heroes. The characters will be playable in the game’s Toy Box 2.0 mode. 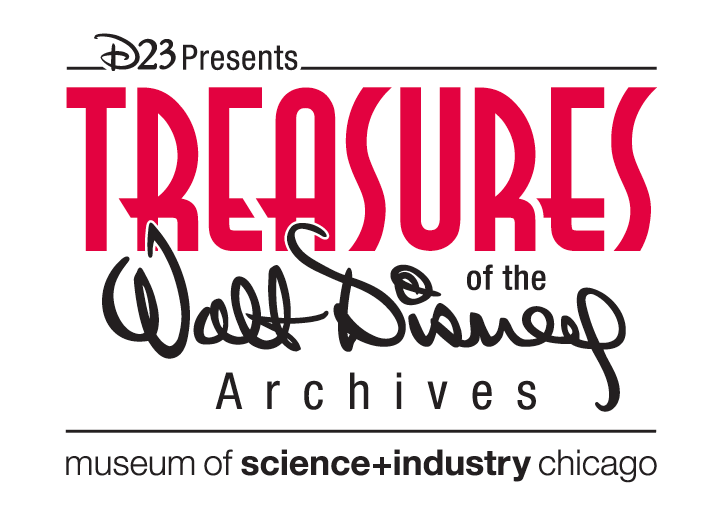 The Museum of Science and Industry, Chicago is extending the run of Treasures of the Walt Disney Archives, presented by D23: The Official Disney Fan Club. Thanks to the exhibit’s popularity, guests will be able to enjoy the exhibit through January 4, 2015. From Mickey Mouse to Captain Jack Sparrow, the exhibition features more than 300 artifacts from nine decades of Disney’s rich history—including props; costumes; memorabilia; and artwork from classic Disney animation, theme park attractions, television shows and live-action films. Hands-on activities allow kids and adults alike to explore animation technology from all 53 Disney animated films and learn to draw one of their favorite characters in the Animation Academy. The exhibit is not included in Museum Entry but can be added to an Explorer ticket package. D23 Gold and Silver Members will receive a special discount on exhibit entry. For more information and to buy tickets, visit MSIChicago.org. For more information about D23: The Official Disney Fan Club, visit D23.com. This exhibit is presented by Walgreens.